Point of No Return: Jewish Refugees from Arab and Muslim Countries: Did Bob Marley have Syrian-Jewish roots? I believe Bob Marley himself mentioned that he was partly descended from Syrian jews. For what its worth, you might want to try his wikipedia entry under the section "early life and career". I realize this isnt proof one way or the other but i still found it interesting. Marley’s son Ziggy is marred to an Israeli from Kfar Saba. Her family is originally from Iran. I believe Bob Marley himself mentioned that he was of Sephardic ancestry. These articles recycle the notion that the Marleys have Jewish ancestry, but do not add anything more concrete about the so-called Jewish roots of Norval's mother. My error -- references to Jewish roots end up being circular, without documentary basis. 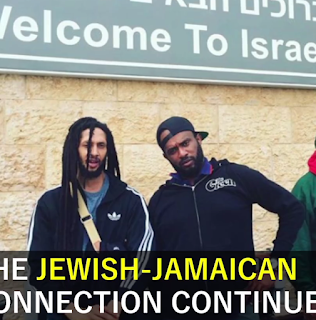 It could be that most Jamaicans have Jewish ancestry. Broomflied or Bloomfield has never been a Sephardi name, however. Sad. And offensive, quite frankly. This blog post speaks of philo-semitism, while its own philo-racism (purporting to "love" people with African, and, particularly, Sub-Saharan African, heritage until, by your own estimation, you no longer have something to gain from associating with them), if I may call it that, is brushed under the rug. For those who are uninformed, many Syrian, Lebanese and Egyptian Christians and Jews immigrated to Jamaica during the 18th and 19th centuries. Some of the Misrahi Jews among those who immigrated to the island intermarried with persons of Christian English, Scottish, Irish, Spanish, German or African descent, among other lines of descent. This is, indeed, the case within my own family, in which my Syrian Jewish great-grandmother married a Christian Scottish man (who was neither Jamaican by birth or nationality, but a subject of the British crown) in Jamaica. Therefore, my last name is of Scottish origin, and I have an authentic Scottish Tartan in addition to the newly introduced Jewish Tartan (which I also love), while my paternal Jewish heritage is Syrian Misrahi. Indeed, persons who are paternal descendants of intermarriages between a Jewish mother and a non-Jewish father will not carry a traditionally Jewish surname (unless that non-Jewish father somehow carried a traditionally Jewish surname). Indeed, Bob Marley's own Jewish grandchildren, born to a non-Jewish father, Ziggy Marley (Bob Marley's son), and an Israeli Iranian Jewish mother, Orly Marley (Bob Marley's posthumous daughter-in-law), carry a non-Jewish English last name: Marley. Persons who are maternal descendants of intermarriages between a non-Jewish mother and a Jewish father will carry a Jewish surname (unless that Jewish father somehow carried a non-Jewish surname), but are not halakhically Jewish. Paternal descendants of such intermarriages may or may not be Jewish according to halakha, depending upon the heritage of the mother. Thank you for you interesting contribution confirming your own Syrian-Jewish ancestry. Yes it is quite plausible that Bob Marley could be descended from a Syrian Jewess, ( it would not make Marley halachically Jewish, as the link would be through his father Norval) but we do not know enough about Marley's genealogy to be able to confirm whether Ellen Broomfield was Jewish. Her maiden name would have given us an important clue. I do not see why you found this blog 'sad and offensive ' and smacking of 'philoracism' and do not understand what you mean by loving Africans only if there is something to be gained by associating with them. Huh?The blog was simply speculating on Marley's possible heritage and even if his Jewish origins could not be proven, he was still a friend of the Jewish people. When mainstream Jewish and Israeli media seeks or needs to make an appeal to non-Jewish ethnic communities of color for political purposes, the heritage of well-known, brown-skinned Jews with Sub-Saharan African heritage like Drake, Alicia Keys, Lisa Bonet, Halle Berry or Cory Booker, or of brown-skinned people with both Sub-Saharan African and Jewish heritage like Bob Marley, is publicly called upon for marketing purposes over and over and over again. How many articles about Bob Marley's Jewish heritage did I read during the eight years that Barack Obama was President of the United States...? I wasn't keeping count. 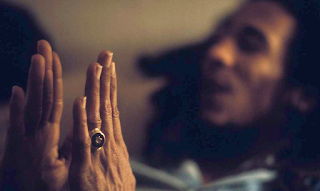 When Bob Marley's own brown-skinned, non-Jewish descendants seek to personally affirm these same Jewish roots, self-proclaimed "gatekeepers" within the Jewish community personally take it upon themselves to call into question this very same Jewish heritage previously marketed for political purposes in a way that they would not have done had Bob Marley's descendants looked "white". Just prior to Meghan Markle's engagement to Prince Harry, articles speculating that Meghan Markle is Jewish or has Jewish heritage started appearing in media all over the world. But Meghan Markle isn't Jewish (and does not seem to have any Jewish heritage, actually, by her own statement), while there are many, many other people with Sub-Saharan African heritage who do, indeed, have Jewish heritage, or who are, indeed, Jewish according to halakha, whose Jewish roots and identity are constantly called into question. Mainstream media sometimes pits brown-skinned Jews (people who are ethnically and halakhically Jewish by birth!) with Jewish or non-Jewish Sub-Saharan African heritage against converts with Sub-Saharan African heritage in an attempt to deny their Jewish heritage and identity (à la "the converted Jews are 'more Jewish' than..."). Rather than seek the political opinion of brown-skinned Jews (people who are ethnically and halakhically Jewish by birth!) with Jewish or non-Jewish Sub-Saharan African heritage, mainstream media seeks out the the vocal opinions of brown-skinned non-Jews (possibly with Jewish heritage) such as Chloé Valdary (no personal judgment of Ms. Valdary, with whom I sometimes may agree or disagree, intended). It is, indeed, "sad and offensive". And it is "philo-racism". Mainstream media needs to stop exploiting, rewriting, or simply omitting the heritage and identity of brown-skinned Jews and descendants of Jews with Sub-Saharan African heritage for political purposes, and needs to start defending their heritage and identity in sincerity (on the level of soul, "nefesh yehudi" and "nefesh", "Leshem Shemayim"), as fellow Jews and people with Jewish heritage. Thank you for your explanation. I don't agree that the Jewish heritage of brown-skinned people is invoked for 'marketing or political purposes'. Jews love to "kvell" and revel in the celebrity and achievements of their own. There are always rumours that a new celebrity is Jewish: I can remember when Prince William got engaged to Catherine there were rumours that she was Jewish, and she is not a person of colour! If Jews value the opinions of non- Jews like Chloe Valdari and Dumisani Washington it is because they swim against the anti-Zionist groupthink among people of colour. Many thanks for your response (in addition to that of Anonymous, who I failed to thank in my prior post above in the rush to respond in a timely manner - many thanks to you, Anonymous, as well). True that we love to revel in community celebrity and achievements, and this is a good thing if and when done in a positive way, but the true measure of a person is how he or she treats everyday people, people who are not in the spotlight (as demonstrated by the Purim traditions of Mishloah Manot and Matanot L'Evyonim...). It is also true, in a literal sense, that non-Jewish persons of color who are supporters of Israel, such as Chloé Valdary and Dumisani Washington, "swim against the anti-Zionist groupthink among people of colour", as you have so framed it (a bit of a loaded phrase, in my humble opinion, that implies that people of color are not "freethinkers" in their thoughts about Israel, whatever they may be, but, for lack of time, a debate on this singular point is not the central focus of the present discussion). However, such voices should not displace, or serve as a replacement for, the voices of Jews of color who are ethnically and halakhically Jewish by birth (or by conversion, for that matter, remaining true to halakha, even considering the existence of the Edict for Syrian Jews), whatever their opinions (which sometimes may be opinions which people do not wish to hear, for whatever reason). For the moment, I seek to address what I see as lacking in mainstream Diaspora and Israel media by working to create media which addresses my concerns. "Be the solution to the problem that you seek to solve." Thus, "agreeing to disagree", I'll leave my thoughts on the matter here, for your further consideration. I have even personally witnessed Musta'arabi, Misrahi, Sepharadi Jews who are very well achieved (very well-educated, well-traveled, well-spoken) become marginalized within the Jewish community. Even Jews of color who become part of an elite, who obtain celebrity, or who are held in the public eye may still be marginalized within the Jewish community...because of the way in which the fallacy of the social constructs of "race" and "colorism" impact the way in which a person is received (or not received). Hi Ruth yes I quite agree with you, there is a curious phenomenon of marginalisation and I enjoyed our exchange. Btw thevAnonymous was me too! Thank you. I enjoyed our exchange, as well. But all this is complicated by the fact that before becoming a British colony, Jamaica was the home to Jews who fled Spain. Read Jewish Pirates of the Caribbean to learn more.